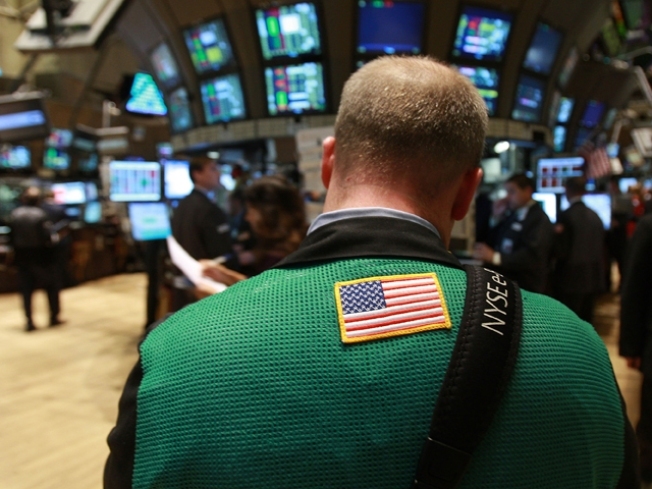 Traders work on the floor of the New York Stock exchange October 10, 2008 in New York City. Over the past week the stock market has posted its biggest drop ever, tumbling more than 20 percent and triggering angst and despair among both investors and traders on the floor. The powerful selloff continued Friday, but there also was a bit more intense volume accompanying it: nearly 1.1 billion shares trading hands by midday, close to half of what most experts consider enough for capitulation. "You'd like to see more selling," Krosby said. "That's something that you look for--really, really having selling and you didn't have that yesterday and you didn't have that in many of the really strong down days."